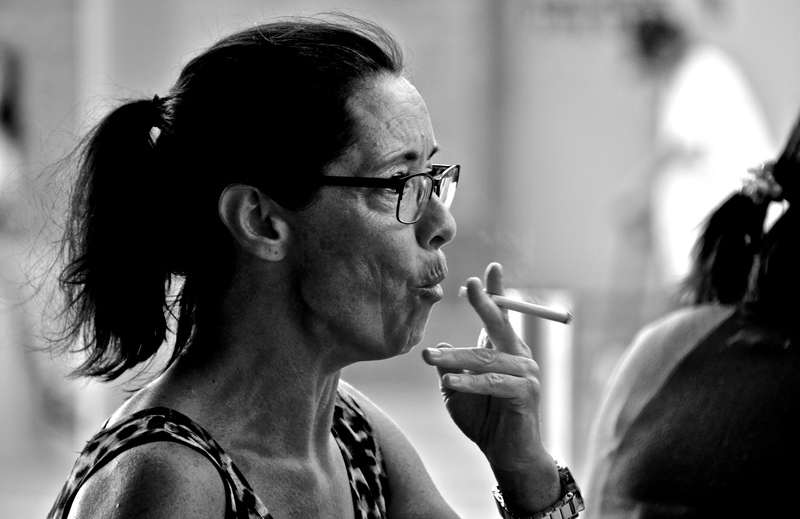 Snapped this lady puffing away on a cigarette in the outside smoking area in Southport on the Gold Coast, Australia. Bless..I understand her need being an ex smoker myself. Oh no, Paula, thank heavens you gave up cigarettes. Uggggg!